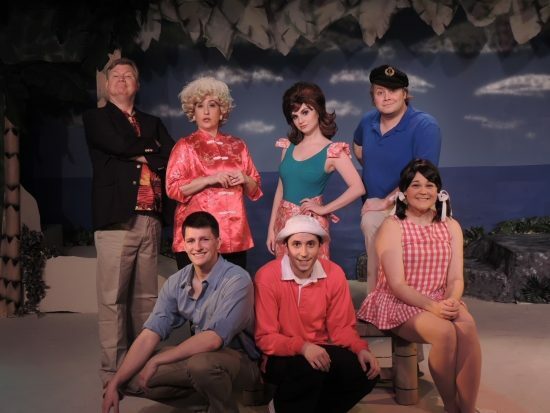 The Castaways – Front Row: Brandon Bedore as the Professor, Joseph Waeyaert as Gilligan, Megan E. West as Mary Ann; Back Row: Steve Steele as Thurstone Howell, Sarah Melinda as Lovey Howell, Alexis Krey as Ginger, and Jordan B. Stocksdale as Skipper. Photo courtesy of Way Off Broadway Dinner Theatre. “Gilligan’s Island” first appeared on television in 1964. Created by Sherwood Schwartz, who also created “The Brady Bunch,” “Gilligan’s Island” ran for three years before being canceled by CBS due to a scheduling conflict. Unexpectedly, the show grew even more popular in re-runs, becoming a cultural landmark that eventually inspired three made-for-TV movies, two animated cartoon series, a reality TV show, and several documentaries. In the early 1990s Schwartz decided to revisit his beloved creation to create “Gilligan’s Island: The Musical.” Indeed, he turned it into a family affair; his son, Lloyd Schwartz co-wrote the script, with daughter and son-in-law Hope and Laurence Juber writing the music and lyrics. The resulting show has now seen a number of productions across the U.S.
Way Off Broadway’s production of “Gilligan’s Island: The Musical” is excellent fun appropriate for a wide range of ages. Way Off Broadway Dinner Theatre, recognizing the appeal of the musical, is now staging the show at its venue in Frederick, Maryland. 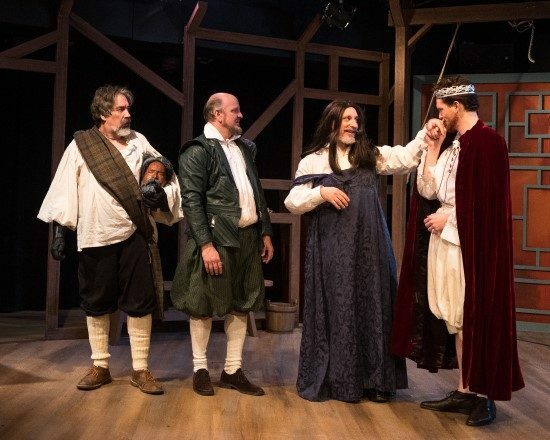 This reviewer attended a performance on a snowy evening in mid-January, and he is delighted to report that the show marvelously — and unseasonably! — captures the tropical warmth of the original series, while also embracing its good-humored and profound silliness. Joseph Waeyaert is outstanding as Gilligan. Waeyeart looks a bit like Bob Denver, the original actor who played Gilligan, but more importantly he emulates superbly both the physical and verbal mannerisms of Denver’s characterization. The actors portraying Mr. Howell, Mrs. Howell, and Mary Ann (played by Steve Stelle, Sarah Melinda, and Megan E. West, respectively) also do outstanding work, splendidly embodying these characters’ quirks, mannerisms, and voicings. 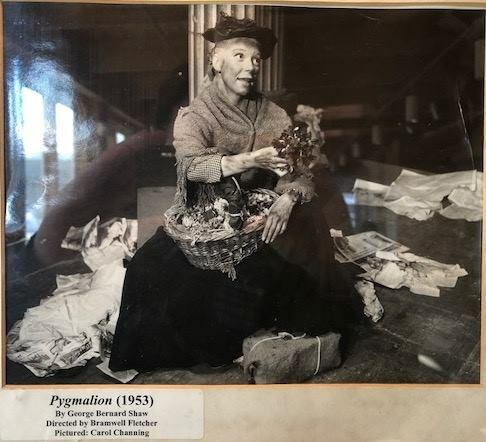 The glamorous character of Ginger, ably played by Alexis Krey, appears to have been updated slightly to be more in keeping with the social norms of our own era, rather than those of the 1960s. An unexpected standout is Patrick Ford, playing a new character, a space alien. Director Bill Kiska has made the unusual decision of casting a child actor for this role, but the gamble pays off handsomely. Ford’s short stature works well with the story, especially given that there is one song called “Bring on the Little Green Men”; however, Ford’s seriocomic delivery of his lines and crisp movements are really what make him so effective in his brief but important appearances. The song “Change your Ways [or You Are Doomed],” sung by the space alien and the Castaways alien to their desert island, is also quite memorable. If it doesn’t end our isolation? Why can’t I get seven people off this island?! The set design and props are simple but effective, reflecting the desert island minimalism of the original TV show. Music direction is engineered by Jordan B. Stockdale, who also plays the Skipper. The show uses recorded music in such a way as to highlight the vocal talents of the performers and complement, rather than overwhelm, their excellent singing. Even better, this arrangement allows the audience to easily hear the witty lyrics and banter that drive the show. The choreography by Dee Buchanan is similarly well done, accenting the physicality of the show in ways that feel fresh while remaining true to the original series on which it is based. Way Off Broadway’s production of “Gilligan’s Island: The Musical” is excellent fun appropriate for a wide range of ages. Those who remember the show fondly will enjoy the nostalgia aspect. However, there is also enough comedy, both physical and intellectual, for the show to be engaging in its own right, introducing the characters to a new generation. Not only did this reviewer thoroughly enjoy the show; so did his 10-year-old daughter, who had seen only one episode of the TV series yet thoroughly enjoyed the verbal repartee between Gilligan and Skipper. Advisory: The show contains comedic mildly suggestive themes, usually revolving around the seductive character of Ginger. “Gilligan’s Island: The Musical” runs through March 9 at The Way Off Broadway Dinner Theatre, located at 5 Willowdale Drive, Frederick, Maryland 21702. For more information click here. John M. Bozeman holds a PhD in Science and Technology Studies, as well as master's degrees in religion, American religious history, and environmental engineering science. Currently he teaches part-time at Northern Virginia Community College.